Concluding his exposition of Psalm 126, Augustine rejoices that the Samaritan who passed by, Christ our Lord, did not turn aside from us, but healed us, set us on his beast, that is, his flesh, and took us to the inn—his church. 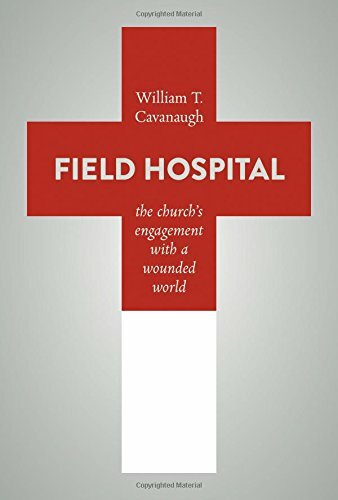 Encountering a book titled Field Hospital, we might suppose that, where G. K. Chesterton could write his delightfully knockabout The Flying Inn, William Cavanaugh will provide a contrastingly sober account of the church as a mobile inn in accordance with the subtitle: "The Church's Engagement with a Wounded World." Such a supposition comes short: this is largely, though not entirely, a book about ideas which equip us intellectually rather than about ministerial actions. Further, any supplementary expectation that this book will offer a sustained account is also unmet: what we have is a series of essays loosely connected thematically but self-standing, usually comprising focused discussion on and exchange with other (often current) literature. This is just to say that Cavanaugh's volume must be judged by what it sets out to do and not what we might think it will set out to do. Seen in that light, it is both helpful and rewarding on a range of concrete questions of which the following review will give little enough concrete indication.